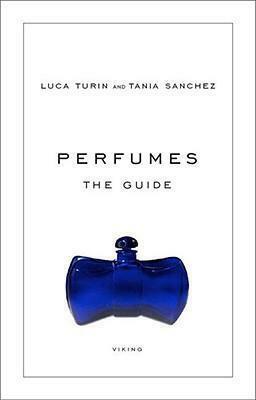 Luca Turin and Tania Sanchez are experts in the world of scent. Turin, a renowned scientist, and Sanchez, a longtime perfume critic, have spent years sniffing the world's most elegant and beautiful--as well as some truly terrible--perfumes. In "Perfumes: The Guide," they combine their talents and experience to review more than twelve hundred fragrances, separating the divine from the good from the monumentally awful. Through witty, irreverent, and illuminating prose, the reviews in "Perfumes" not only provide consumers with an essential guide to shopping for fragrance, but also make for a unique reading experience. - What is the difference between eau de toilette and perfume? - How long can I keep perfume before it goes bad? - What's better: splash bottles or spray atomizers? - What are perfumes made of? - Should I change my fragrance each season? "Perfumes: The Guide" is an authoritative, one-of-a-kind book that will do for fragrance what Robert Parker's books have done for wine. Beautifully designed and elegantly illustrated, this book will be the perfect gift for collectors and anyone who's ever had an interest in the fascinating subject of perfume. Read Luca Turin and Tania Sanchez's posts on the Penguin Blog.